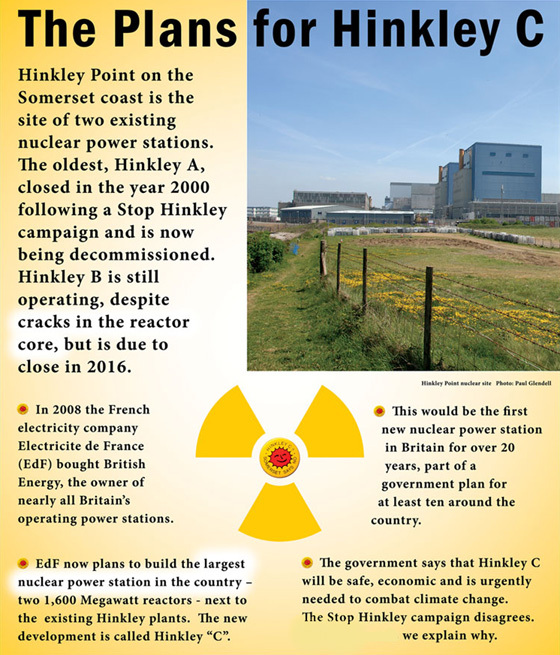 No To Hinkley C! A Video: No New Nuclear Power! We Don’t Need It! Abundant energy surrounds us every day. We can use wind energy to make electricity. We can use the Sun’s light to make solar electricity. The tides and wave action of our rivers and bays can give us more energy. The interview was taped so that I could provide you with a clear understanding of why we will stop hinkley from being built. If you have anyone in mind that would like to take part in an interview, please leave a comment below. 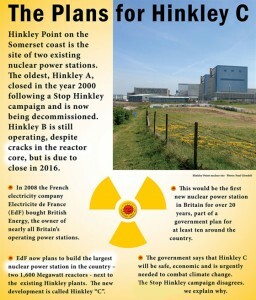 If you have written to your MP then check out the stophinkley.org site and see how you can help. Watch the 2nd Video by clicking here.